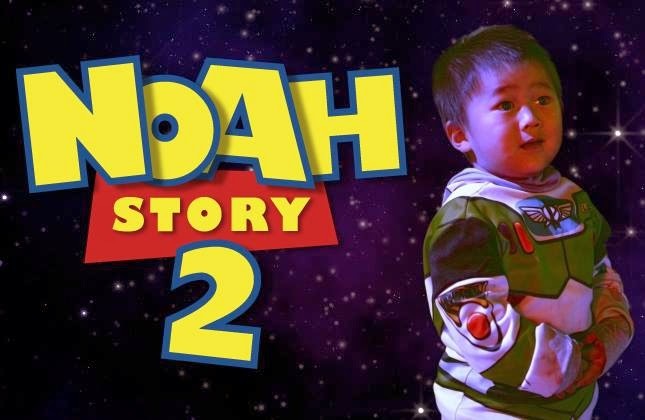 I'm back on blogging to announce that our little space ranger turned two this weekend! Noah has brought so much joy and laughter into our lives and we're so grateful that God has entrusted us with two precious boys. We're also learning, as parents, to love, embrace and cherish the terrible-two toddler stage. Although he's slow in speech, (he fully understands both Korean and English but I think he's just refusing to talk! lol) his vibrant energy and excitement for every little things make us appreciate the little things in life too. 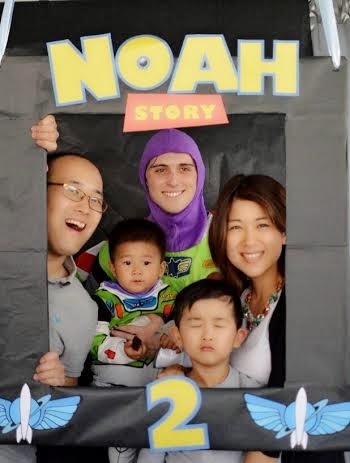 Last year, we didn't do a big 1st birthday celebration since we thought it was better to wait till Noah can remember and join in on the fun. Instead, we decided to sponsor 3 kids who share the same birth date as our son through World Vision. 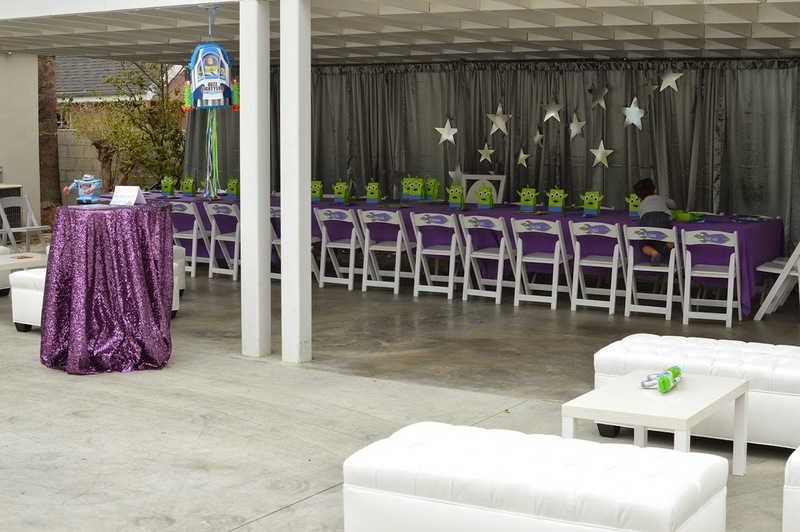 (Read about this post here) This year, my husband and I told ourselves to keep things simple and throw a small party at our concrete backyard (technically our carport area). We wanted to make as many fun memories at this house before we think about *possibly* relocating. Plus, it was a great way to do some MAJOR house cleaning! 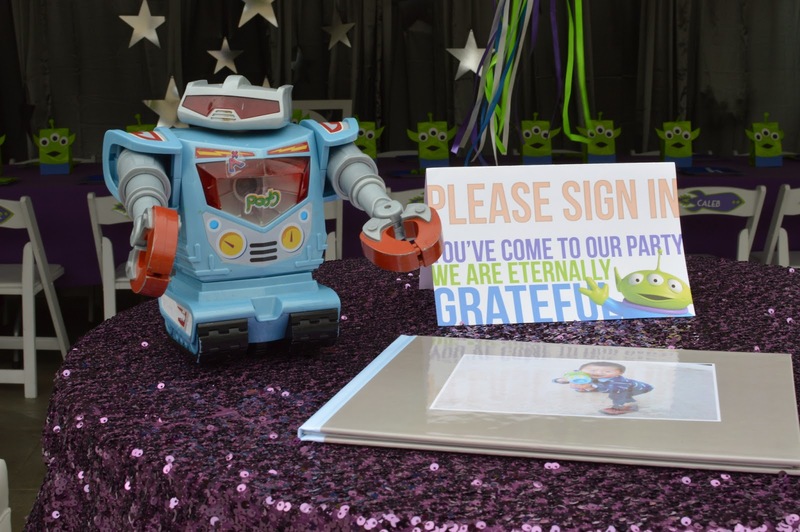 ;) Like every other toddler, Noah is obsessed with Buzz Lightyear, so it was a no-brainer that we wanted to do a Buzz Lightyear themed party. I know… so typical but boys are easy to please! First thing, I envisioned was a long table for the kids under the shaded carport and a lot of benches for the parents to mingle and enjoy. 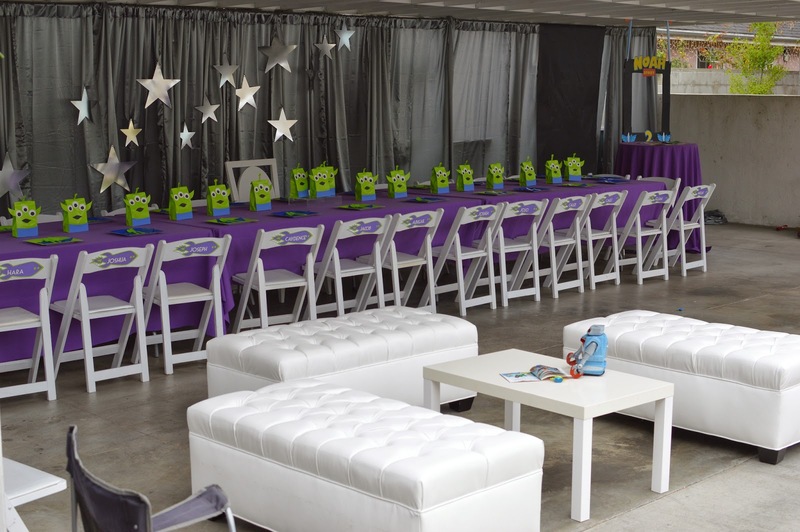 Huge thanks to Luna Party Rentals providing all the benches, chairs, tables and draping to cover our trash bins, storage, toys and etc. and to La Tavola for providing linens for the tables and the purple sequin for the sign-in table to make it just a tad fancy! 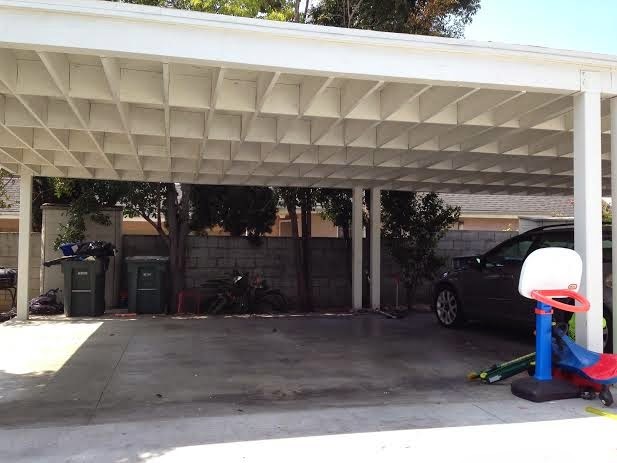 Here's a before and after picture of our concrete backyard space/shared carport. Please excuse the mess. This picture was actually taken after the party, hence, the garbage overload but draping makes such a difference, right? I did an event styling tips and tricks series a while back Part 1 and Part 2, so today, I will finish it off by covering how to throw a budget friendly party with STYLE. I know every celebration (weddings, showers, kids’ parties) can get out of hand if you don’t stick to a strict budget and I'm a believer in minimalist living, that we can re-use what we already have. 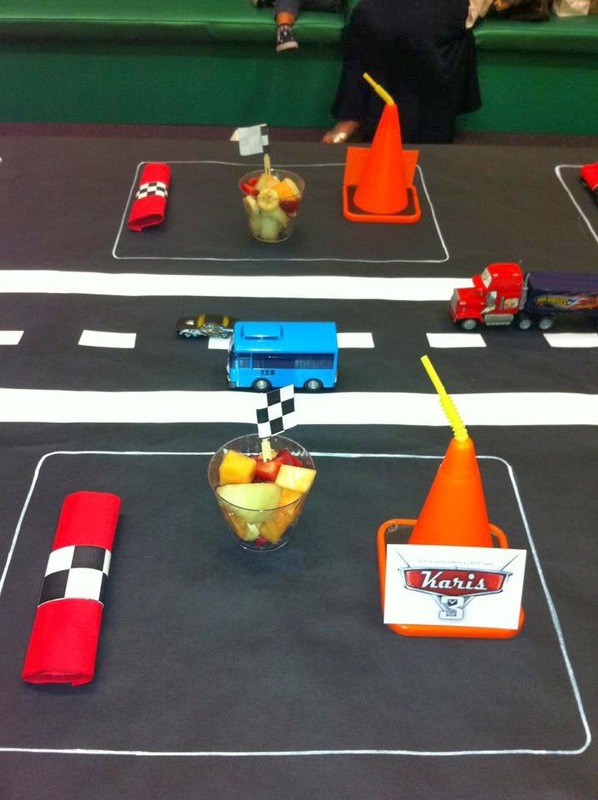 Plus, your child will only remember all the fun she/he had but not necessarily what was on the table decor. 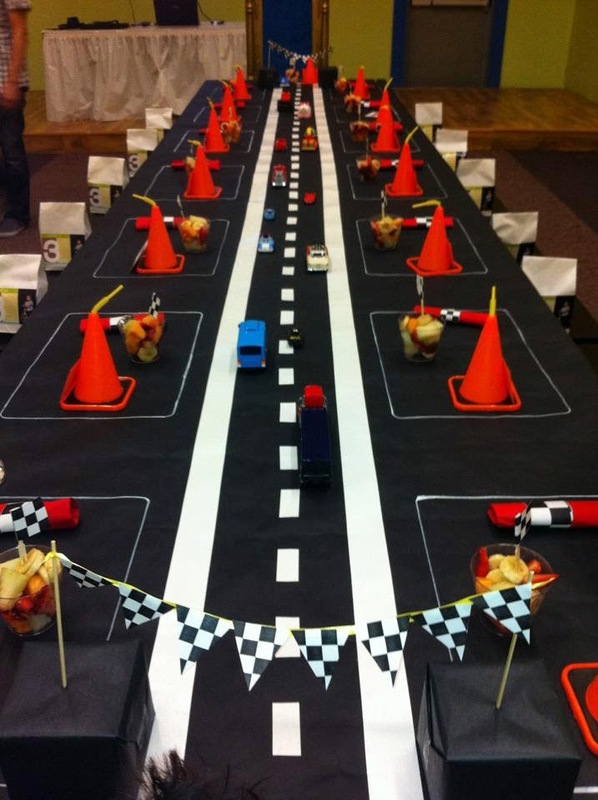 Here are a few tips to get your party planning started! 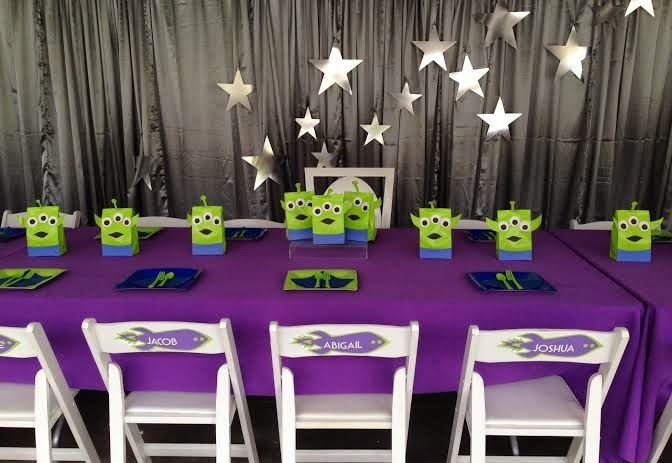 Tip 2: Goodie bags can also double as a part of your decor/centerpieces. Tip 3: Choose your battles wisely. Keep it simple but impactful. I'm sure all the parents know what I mean when they're raising their little ones. Even prepping for a party, there's no need to go too crazy with all the cute details you see on Pinterest! If not done right, it looks messy and tacky!!!! Choose 2-3 DIY projects that will make a statement and you can let go of other details. I say this only because if you get too ambitious with so many DIY projects, set up not only gets difficult, BUT the cleanup is even more painful at the end of the party. Trust me, DIY projects does NOT save you much money. Tip 4: Have a photobooth! Kids have way more fun taking pictures than the adults. FYI, I got the biggest box from Home Depot to cut out a frame for the booth. Again, I used my black butcher paper to cover the cut out and also hung it as a backdrop for the booth. Voila! Super simple but something personalized! Tip 5: If it all fails, just rent a bouncer and you're good to go! 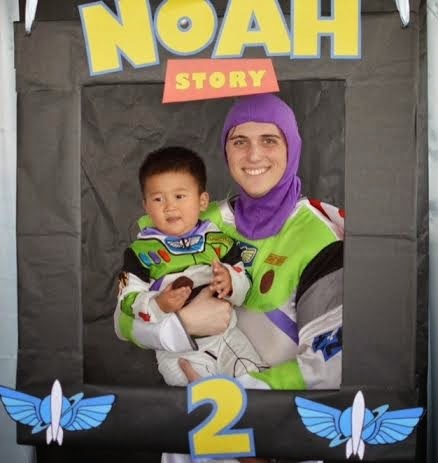 It was our first time hiring an entertainer because we thought Noah would be star struck if he actually saw Buzz at our house... That only lasted for about 10 seconds before he was busy playing in the jumper. lol! 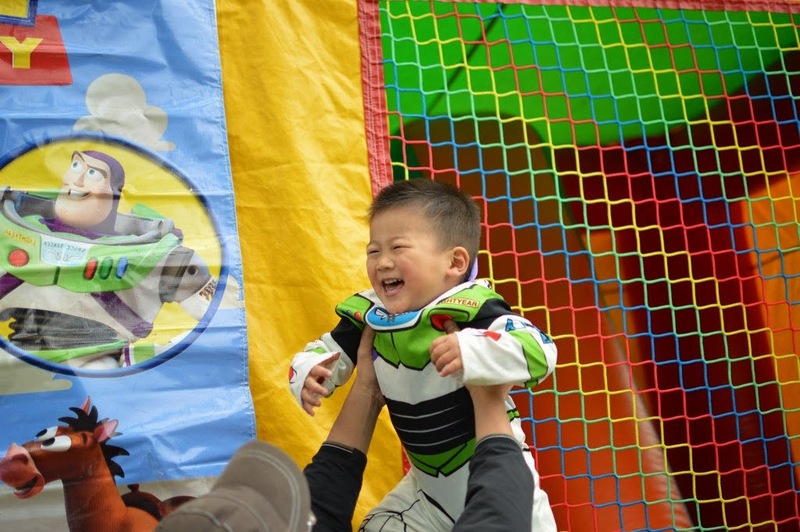 I think having a bounce house is what every kids’ party needs. 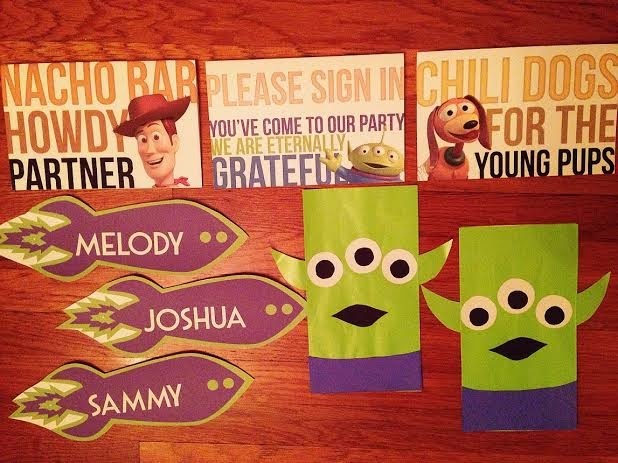 P.S If you liked any of these Buzz Lightyear themed signage, my husband would be thrilled to send you the files! He is no graphic designer by any means but gotta love that he's trying! Hope this post inspired you to get creative with what you already have at home and be sure to check our IG for latest updates!